Both brick and stone masonry offer a beautiful and timeless look, but is one necessarily “better” than the other? That’s hard to say, as both materials offer pros and cons, many of which overlap. Brick and stone are popular materials that have spanned the test of time to prove themselves timeless and long lasting. Additionally, they are both fire-proof and weather resistant. Stones are always going to be less uniform in shape and size than bricks, which are made from perfectly shaped molds. Keep in mind, you don’t have to decide between one or the other, you can always go for a combination of the two. To help you make a well-informed decision, here are some pros and cons of brick vs. stone masonry. Some of the world’s oldest buildings are made from stone. For instance, Ireland’s landscape is dotted in stone buildings that date back 5,000+ years and are still standing strong today. Stone adds a touch of luxury, character, and charm to buildings. It also works well with other construction materials, and can enhance anything from a warm cottage to a stunning cathedral. Plus, it’s look is timeless and will never go out of style. Stone buildings are ideal in hot climates because stones are naturally cool, and therefore, help keep interiors cooler. Some projects offer the chance to incorporate stone from the surrounding land. Stone texture and color varies by region, and so, it’s always nice to use local stone. This can eliminate the need to transport stone on site—which is better for your wallet and the environment. Stone is highly durable but that’s in part due to a laborious and specialized installation process that involves a lot of patience and skill. As a result, installing stone structures may be cost prohibitive due to the physically demanding and hilly-skilled work involved. A building made of solid stone masonry with no insulation is going to be ice cold in winter. For one, stones are naturally cold and start to feel like ice when the thermostat drops. Additionally, stone alone is not an effective insulator. Adding a layer of installation is key to year-round comfort no matter where you live. That means stone is dug up from the ground. As a result, virgin stone has a directly negative impact on the environment. It is possible to repurpose used stone, in which case a traditionally environmentally-taxing material becomes eco-friendly. Brick is eco-friendly compared to stone and other popular building materials, such as wood. That’s because brick is made from some of Earth’s most abundant materials, shale and clay. Just like stone, brick was used to construct some of the world’s oldest buildings that are still standing today. Bricks don’t need to be painted; they have unbeatable color retention. Plus, they are incredibly durable against wind, weather, and other elements. 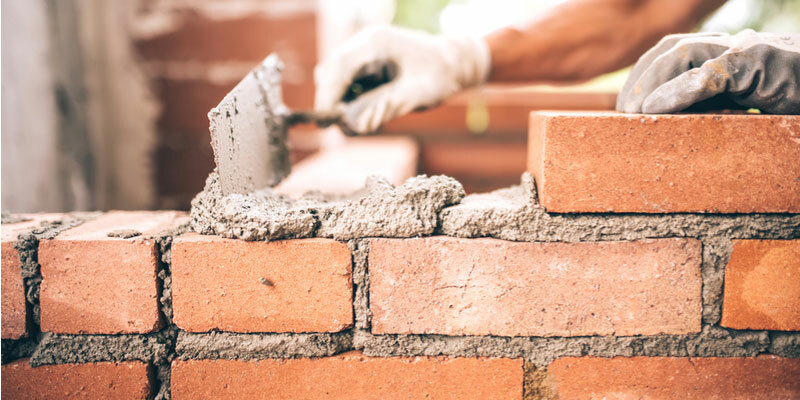 The National Association of Home Builders reported that 34% of survey respondents said they would pay more money for a brick home compared to a home made from other materials. This same con can go under stone as well, as both durable materials rely on mortar to hold them together. Mortar is engineered to fail over time as it takes on the bulk of pressure for bricks. That’s a good thing because mortar is easier and more affordable to fix than bricks. BUT, if cracked or crumbling mortar goes ignored, excess pressure transfers to bricks causing spalling and other types of brick damage that is costlier and more complicated to fix. Stone comes in a wider variety of shapes, sizes and tones. Bricks, on the other hand, are rather standard in terms of color and shape.